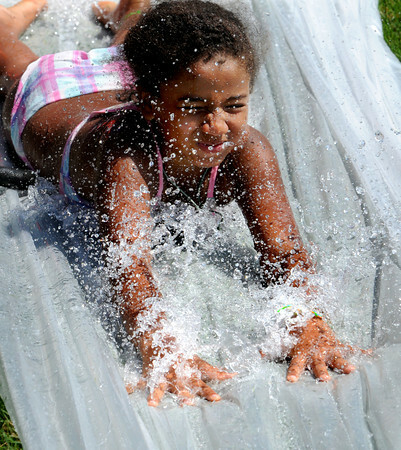 Valerie Encarnacion slides down the Mad Hatter's water slide on the hill at Lynch Park. She was participating in the Beverly Recreation Department Parks Program. "Movie stars" was the theme for the games. 13 parks and 4 camps participated. Photo by Ken Yuszkus / Salem News, Thursday, July 18, 2013.